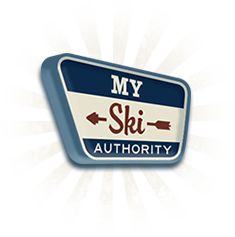 Welcome to New Mexico Ski Authority. Your Guide to NM Ski Discounts. When you think of New Mexico, your mind probably conjures up images of cacti and scorching hot desert. While this is true of eastern New Mexico, the western half of the state is covered with mountainous terrain. The southern tip of the Rockies dips into the north central part of the state, while the Colorado Plateau covers the northwest corner. Thanks to these features, the skiing in New Mexico is a vibrant part of the state’s winter pastime. The ski resorts of New Mexico are all primarily in the southern Rockies as they cut into the state from the northern border to Santa Fe. Wheeler Peak in the north is home to Taos Ski Valley, the largest and most popular ski destination in the state. With almost 1300 acres of skiing and 110 trails plunging down 3250 feet, it’s easy to see why. If Taos gets too crowded, Angel Fire and Red River are also close. Near Santa Fe, Ski Santa Fe is a local favorite with a 1725-foot vertical from a 12,000-foot peak. 74 trails over 660 acres means there’s plenty of room to ski. Other ski areas include Pajarito, Sipapu, and Sandia Peak. Farther south near the White Sands Missile Range, Ski Apache is a favorite place for locals and military to unwind on weekends. Apache has a stunning 1900-foot drop and the lifts have the highest capacity in New Mexico. Almost every resort offers something different. For example, if you want to sample night skiing, you’re going to have to go to Angel Fire. One of the coolest new features in New Mexico is the Kachina Peak lift. This awesome lift takes you up to the summit at 12,450 feet, which makes it one of the highest lifts in the country. Skiing in New Mexico is clustered in three general areas. The Rio Grande Valley in the center of the state hosts the four resorts near Santa Fe. Up north, the trio of Red River, Angel Fire, and Taos Ski Valley form the Enchanted Circle. Ski Apache, located the farthest south, remains in a zone of its own. On average, even though the season is usually only about four months long, the peaks get 300 inches of snow per year. Even at the bottom of, say, Taos Ski Valley, the yearly average is more than 60 inches. But there’s a catch: As part of the mountainous climate, the snowfall is also incredibly unpredictable. It can snow up to three feet in a day, while in some spots, it may barely snow three feet the entire winter. The good news is that, on the days that Mother Nature isn’t cooperating, most resorts have 100 percent snow-making coverage. Make sure you have reliable transportation to the ski area of your choosing, and then watch the forecast and talk to other skiers for tips about the weather and the quality of the powder on the slopes. One of the most important things on your ski-cation in New Mexico is remembering to have fun. After all, you’re there to enjoy chutes and open bowls, not worry about money. There are several ways to save money, but the most important is planning. The majority of your savings will happen before you even leave your house. Plan early and get your gear and lift tickets online. When it comes to rentals, let us help. With the relationships we make with the resorts and shops, we can help you get up to a 20% discount. After all, it’s your vacation, focus on skiing and not on your wallet.